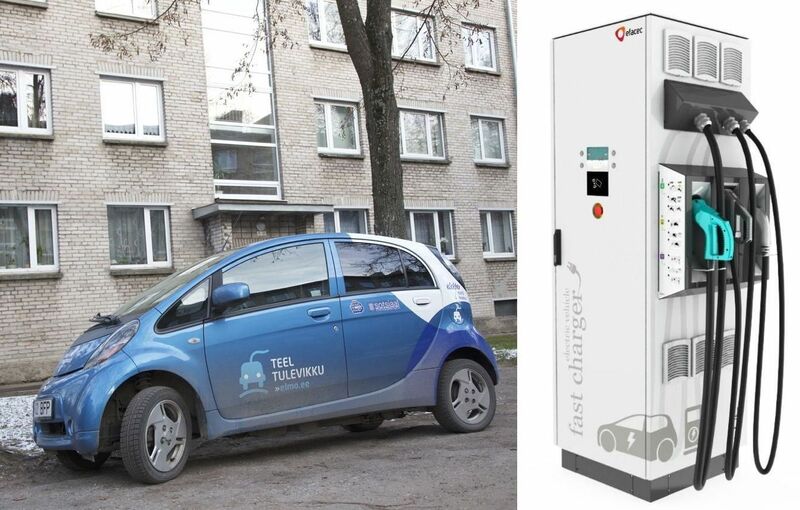 17 May / The Tartu City Government recognised the tender submitted by Elektritransport OÜ, in the amount of EUR 119,274, as being successful, which includes the cost of purchasing and installing the chargers. Five electric car rapid chargers will be installed in four locations within the City Centre: between the Aura Centre and the athletic building on Turu Street (2 chargers); on the corner of Väike, Turu and Soola streets (in the car park across from the Bus Station); on the corner of Küüni and Uueturu streets (between the Kaubamaja and the park along Poe Street); and on the end of Poe Street, by Vabaduse Avenue. According to Deputy Mayor Raimond Tamm, the goal of installing the chargers is to promote the use of electric cars in Tartu. ‘At present, it is possible to find rapid chargers in different sections of the city, but not in the City Centre. The demand for the ability to charge electric cars in the City Centre has grown from year to year and new chargers will help fill an important gap in the network of rapid chargers. In the long-term perspective, we are hoping with these steps to reduce air pollution and traffic noise and to make the city environment more people friendly,' explained Tamm. The acquisition and installation of rapid chargers is being financed from the international project SmartEnCity, during the course of which an energy efficient city district operating based on smart solutions will be created from the Khrushchyovkas located in the City Centre. One of the project’s primary activities involves the renovation of Soviet Era apartment buildings into nearly zero energy buildings, although innovative solutions are also being used in the smart city district for district heating, street lighting and renewable energy use. One of the project’s activities is the creation of a bicycle sharing system in Tartu. The SmartEnCity project is being funded within the framework of Horisont 2020, the European Union’s research and innovation programme Horisont 2020.